Product prices and availability are accurate as of 2019-04-20 04:24:29 UTC and are subject to change. Any price and availability information displayed on http://www.amazon.com/ at the time of purchase will apply to the purchase of this product. The 2nd edition of Tiki Road Trip has been completely updated, expanded, and globalized. 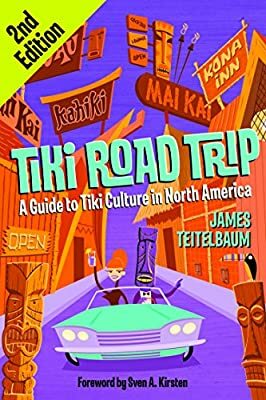 The best—and only—guide to Polynesian pop culture, written by Tiki expert and urban archaeologist James Teitelbaum, now contains even more listings and reviews of Tiki bars and Polynesian restaurants, even more photographs, and even more drink recipes. The International listings have been expanded as well, and the Hawaiian glossary is much more comprehensive. 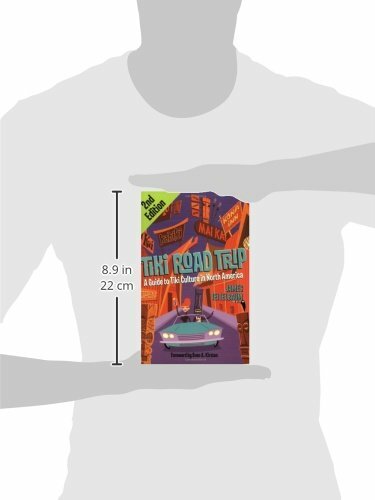 All in all, the second edition of Tiki Road Trip is a superior refinement of what was already an indispensable book for followers of the ever-growing Tiki movement. 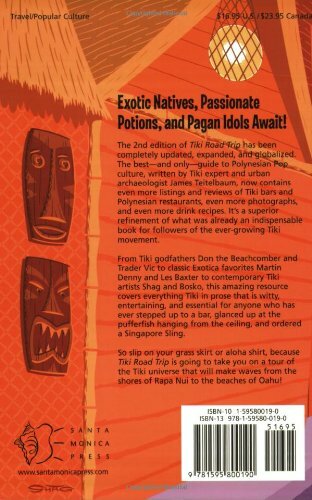 From Tiki godfathers Don the Beachcomber and Trader Vic to classic Exotica favorites Martin Denny and Les Baxter to contemporary Tiki artists Shag and Bosko, this resource covers everything Tiki in prose that is witty, entertaining, and essential for anyone who has ever stepped up to a bar, glanced up at the pufferfish hanging from the ceiling, and ordered a Singapore Sling. In addition to the exhaustive listings, recipes for classic Tiki cocktails, a glossary of Tiki terms, and resources for buying Tiki goods and artifacts are also included. Reminiscences of famous points of interest that have closed are provided for the completist, for historical perspective, and for those seeking information on the current status of a favorite Tiki site which may have closed. So slip on your grass skirt or Aloha shirt, because Tiki Road Trip is going to take you on a tour of the Tiki universe that will make waves from the shores of Rapa Nui to the beaches of Oahu!